Guaranteeing good sexual age requires conscious efforts as we grow older. Getting rid of bad habits, controlling stress and improving one’s diet will all have a profound positive impact on performance. Choosing the right supplements will be equally important. 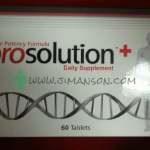 Over the past few years, one supplement ingredient has been growing in popularity. Pygeum has sometimes been called miraculous because of the immense way in which it impacts prostate health and male sexuality. The extract is derived from the bark of the Prunus africanum tree. The tree is a native of the central and south African highlands. A large evergreen species, the tree produces reddish fruits that are similar to plums. This is one of the main reasons why Prunus africanum is sometimes called African plum. The bark itself is black to dark brown in color. Infusions made from the bark have long been used medicinally because of their anti-inflammatory properties. Pygeum is effective in the treatment of conditions like malaria, fevers, poisoning and kidney disease. Over the past few years, the popularity of pygeum bark extract has increased. As a result of extensive harvesting, the tree has become endangered in certain parts of Africa. Today, there are strict quotas for bark harvesting. The tree has also started being cultivated more frequently because of the demand for the bark as a pharmaceutical product. Pygeum impacts male sexual health in two main ways. For a start, it’s great for maintaining prostate health. It’s a popular natural remedy for benign prostatic hyperplasia (BPH). Most of the studies carried out to examine this effect conclude that a standardized extract from the bark can be used to combat the most common symptoms of BPH like frequent nighttime urination. A relatively big double blind placebo-controlled study was carried out to assess the effect of 100 milligrams of standardized pygeum extract on men suffering from BPH. The experiment involved 263 volunteers. They had to take either the extract or a placebo for a period of 60 days. In the end of the experiment, 66 percent of the men taking pygeum extract reported improvements frequency of nighttime urinations and urine flow volume. Such improvements were experienced by solely 31 percent of the men in the placebo group. 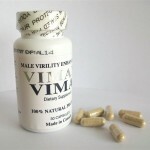 Apart from maintaining the aging prostate healthy, pygeum bark extract has another positive sexual effect on men. There’s some evidence that the extract can be used for the treatment of mild to moderate erectile dysfunction (ED). The effectiveness of pygeum increases significantly in combination with saw palmetto extract, which is why the two can often be seen alongside each other in male enhancement supplements. 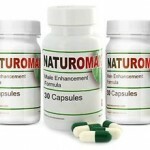 Choosing a high quality natural supplement that contains pygeum extract is one of the simplest options for experiencing male enhancement without risking side effects. Stick to the manufacturer’s recommendations for optimal results. Alternatively, you may want to take pygeum on its own. The daily recommended dosage for the treatment of prostate issues and ED is 75 to 200 milligrams of standardized pygeum bark extract. Refrain from going over this dosage because you may otherwise experience some undesirable side effects. 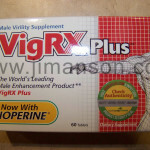 Most healthy men who take pygeum extract do not experience side effects at all. 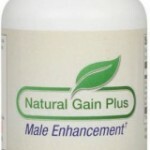 Only a few men have reported symptoms like stomach upset, bloating and other gastrointestinal issues. You may want to start with a minimum dose in order to test your tolerance. If you don’t experience GI issues, up the intake to the recommended daily dosage. Once again, remember that the pygeum tree has become an endangered species. Stick to supplements and products that are made by reputable manufacturers. Companies that stick to ethical and sustainable practices are the ones to prioritize if future generations are to benefit from the medicinal properties of the tree, as well.